That said, the law does permit someone who is an expert to testify as to their opinion concerning pertinent facts of the case at hand. To use our prior examples, if the bystander to the car accident was a trained traffic police office, the court may permit them to give their opinion as to whether one of the drivers was speeding. Similarly, if the woman’s husband was a practicing surgeon, he may be allowed to give his opinion as to how the attending physician failed to meet the requisite standard of care during the surgery. Car accidents: an expert witness may be needed to testify that the medical care you received was medically necessary and reasonable. Medical malpractice: an expert witness will likely be necessary in order to testify that the medical professionals in your case deviated from the standard of care. Premises liability: you may need an expert witness to testify that the conditions of the property did not meet industry standards. Construction site injuries: an expert witness could testify to how your employer failed to meet industry-mandated safety protocols. Elder abuse: you may need an expert witness to testify to the standard or care in the assisted-living industry and how the facility in your case failed to meet that standard. Sometimes the facts speak for themselves, but in certain instances, you need someone with expertise to testify as to why the party you believe to be at-fault should be held accountable. 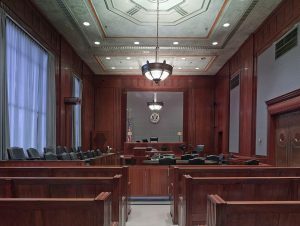 The right expert witness can help the jury understand what went wrong and why the other party should be held responsible for your injuries. If you’ve been injured in an accident and need to pursue a claim, a lawyer can identify when an expert witness will be necessary. In addition, a lawyer should be able to help you get the best possible expert witness. The personal injury lawyers at Slappey and Sadd have been helping Georgians get the compensation they deserve since 1992 – we have the knowledge and experience you need. If you’d like to discuss how we can help you, call us at 888-474-9616 or an online request to schedule a free consultation.